It's that time again. 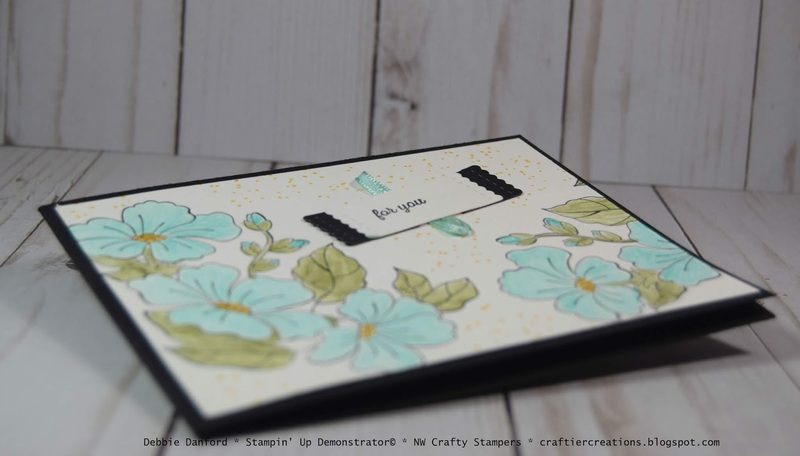 The Holiday Stampin' Palooza will be on Sept. 22nd, 2018, at the Stillaguamish Conference Room. Click here to down load the registration form, or go to the classes page and you can find all the details along with the PayPal button. Now I want to share today's project. 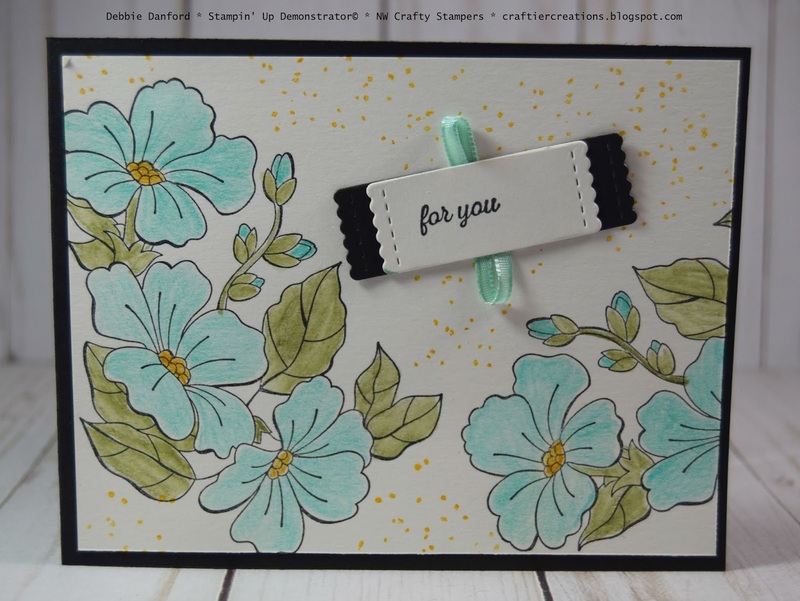 I did another card with the new Color Your Seasons Set. 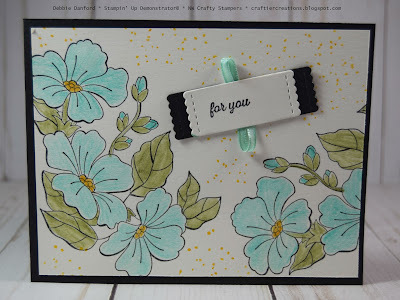 I also used the new Watercolor Pencils and a Aqua Painter. 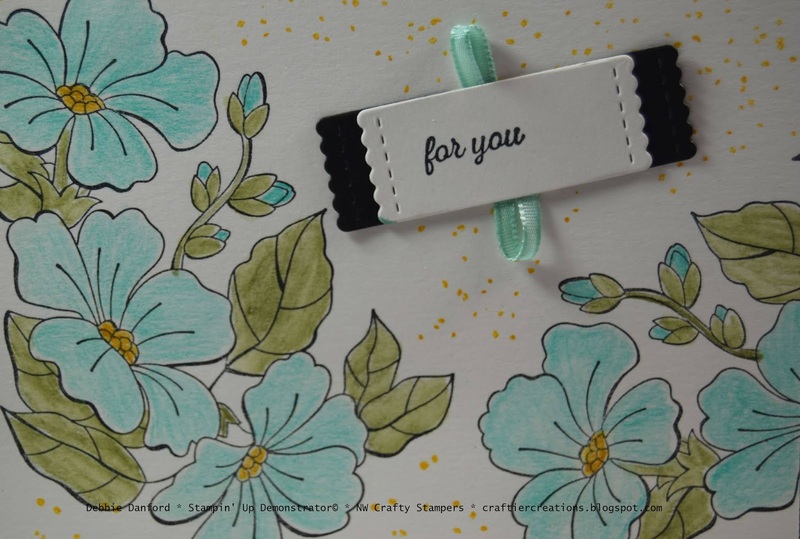 On a piece of Shimmery White stamp the flower randomly with Black Staz On Ink. 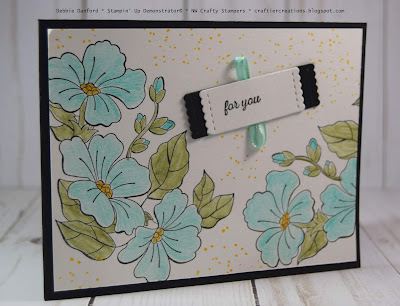 Color the flowers with the Coastal Cabana and Daffodil Delight and the leaves with the Old Olive. With a wet Aqua Painter blend everything together. Do not soak the paper just use the wet tip of the Aqua Painter. 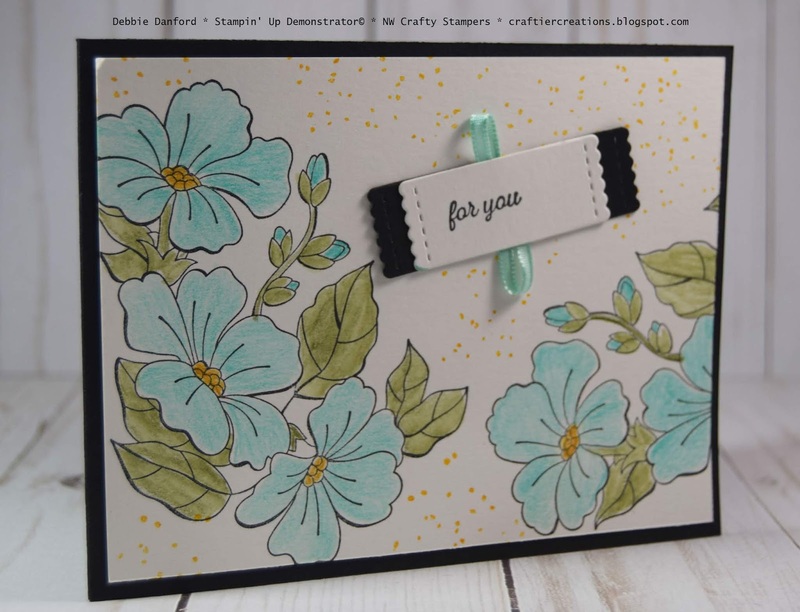 I randomly stamped the splatter from the Birthday Background set with Daffodil Delight. Stamp sentiment in Black Staz On and die cut. Die cut a piece of the same from Basic Black and cut in half to add to each end. Color a piece of Whisper White ribbon with Coastal Cabana Ink and a Dauber.